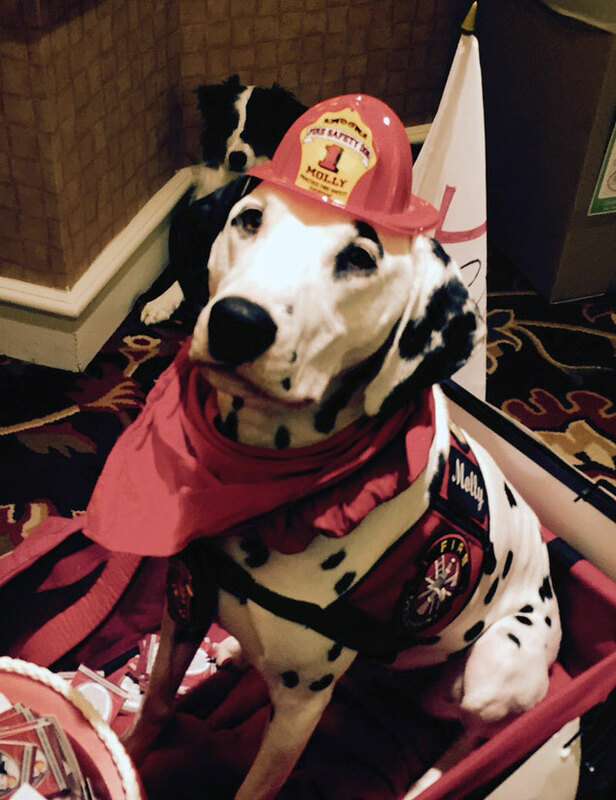 Customized food, made-in-America products, the joys and perils of ever-longer lives and eco-awareness were top themes at last week’s BlogPaws 2015 conference. More than 500 pet bloggers and the brands wooing them come together in Nashville recently to listen to speakers on social media, network, meet with product manufacturers and learn how to better make their blogs pay off. 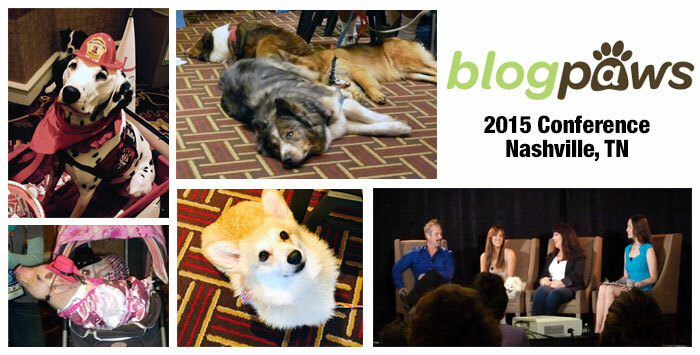 BlogPaws is an international organization of people who blog about pets of all types; it has been hosting social media and marketing conferences since 2010. This is one of the few conference you’ll ever attend where you can hear piglets snuffling and snorting at the back of a presentation room, meet a cat with three wardrobe changes a day, watch a weasel drink water from a glass or see a golden retriever sighing as she puts head to paws in the twilight of a keynote speaker’s presentation. While the bulk of the conference topics dealt with how to improve writing, photography, video, money-making power and social engagement of blogs, clear trends that will affect the lives of pets and their guardians surfaced in discussions and exhibits at the conference. Made in the USA products. Not surprisingly, tainted dog treats from China have given the “made in America” label a high value. Consistently, pet treat and food manufacturers in the exhibit hall emphasized products that were made in this country. Customized food. 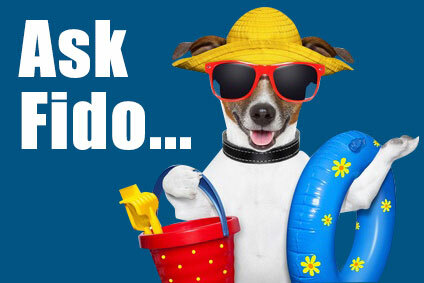 What and how to feed your dog is getting ever more complex. Homemade or commercial? Raw, cooked or frozen? Grain-free? Gluten-free? 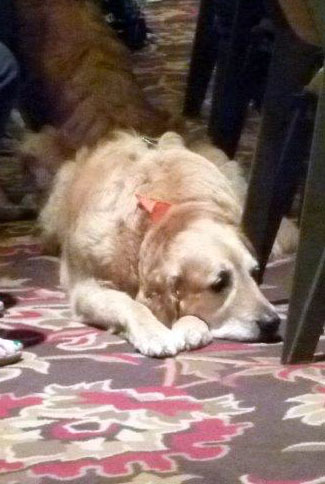 Manufacturers were displaying increasingly levels of customized food for dogs. The top contender in this arena was pawTree, which allows you to profile your dog on the basis of age, gender, size, breed, energy level and issues such as allergies, bad breath, obesity or joint, skin and coat problems. They create a label customized with your dog’s photo and your choice of product name and recommend products suited to your dog. They appear to focus on purebred dogs rather than mixes. The food is shipped to you every so many weeks, depending on your dog’s size. New ingredients. As dog food makers work to address the growing number of dogs with allergies and food sensitivities, pet owners are going to see new ingredients in their dog’s food. An example that stood out was the number of dog treats and food that contained fish. Long a staple for sled dogs and cats, fish will be showing up in Fido’s universe more and more. The goodies in the Bugsy’s Box sample, for example, included a dried salmon treat from SalmonPaws that was 100 percent, human-grade Alaskan wild salmon that was a huge success with the pups back home. Easy-to-use raw food options. The idea that raw meaty bones is the ancestral diet your dog evolved to thrive on isn’t new. What is new is more convenient to use alternatives to preparing it yourself. Companies like The Honest Kitchen and Stella & Chewy’s offer freeze-dried food that can be added to purchased meats, toppers that can add nutrition to what you currently feed your dog, stand-alone food you rehydrate at home and treats. Primal Pet Foods offers raw frozen foods. These products offer a lot of convenience and quality. Green pet care. Brown bags and cardboard boxes were higher profile at some exhibit booths than others, although the conference itself pushed zero-waste with prominent recycling bins throughout the venue. Many of the products on display at the conference won’t be available at your local pet store for several more months, but many can be found at stores like Kreiser’s, which is opening a new store in Venice this month, or Healthy Spot, which specializes in organic foods and treats for dogs.